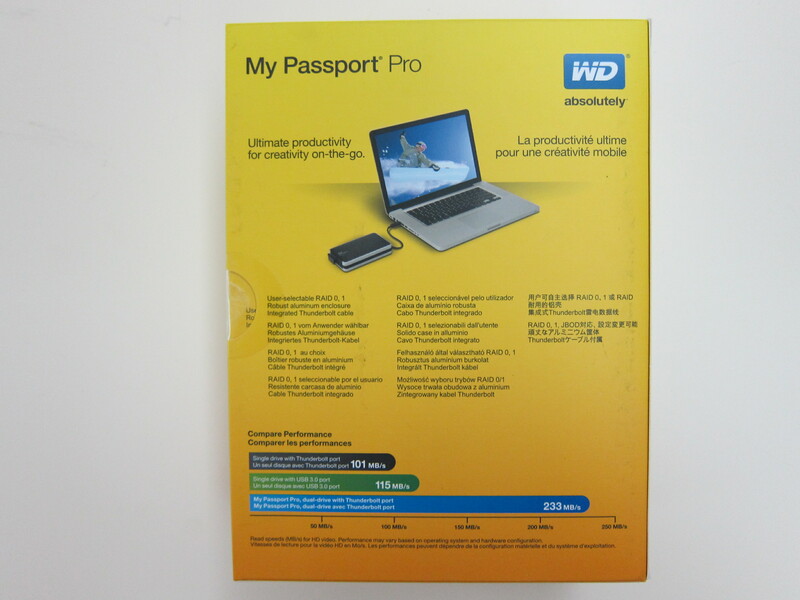 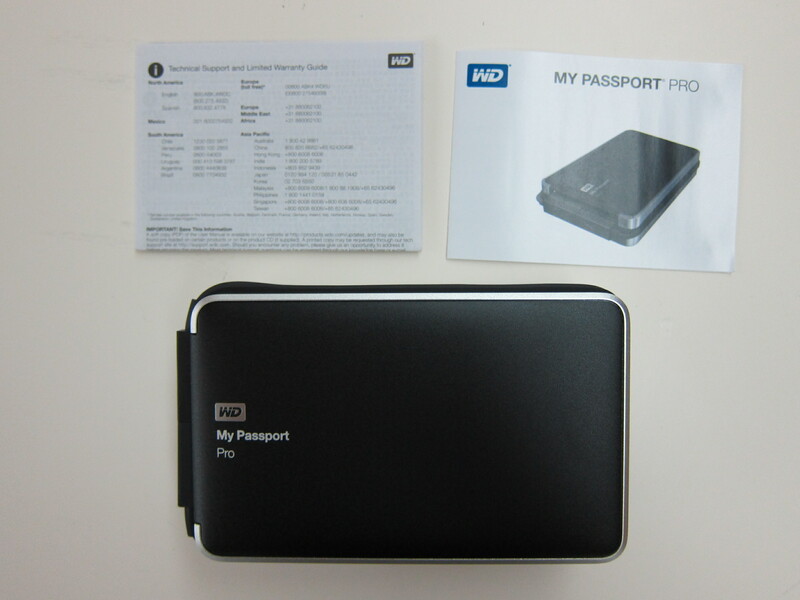 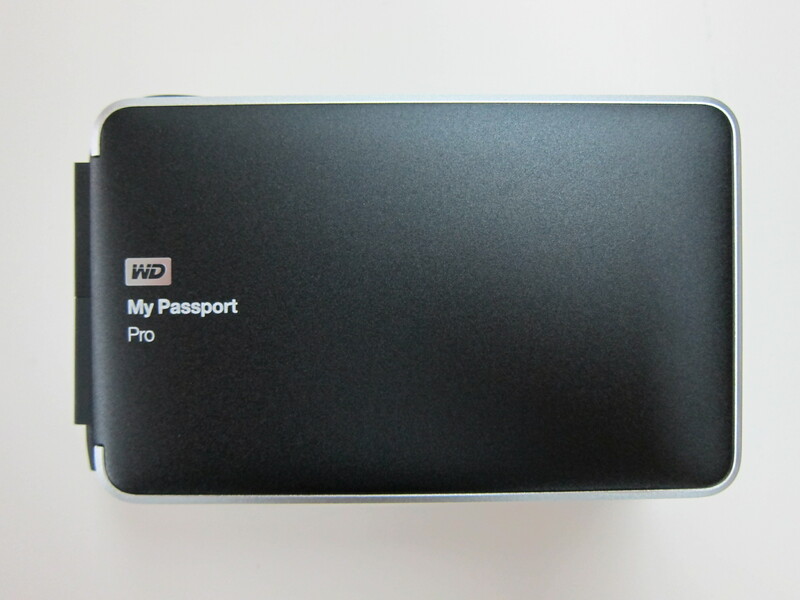 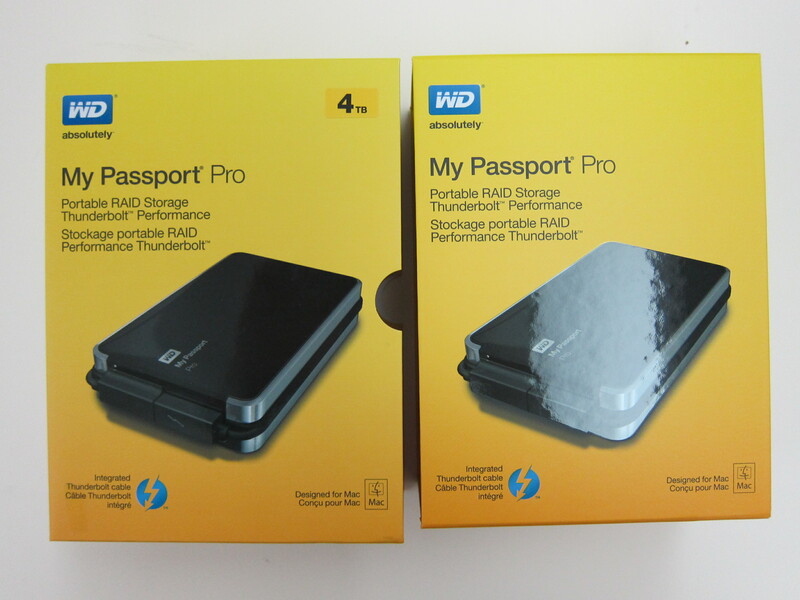 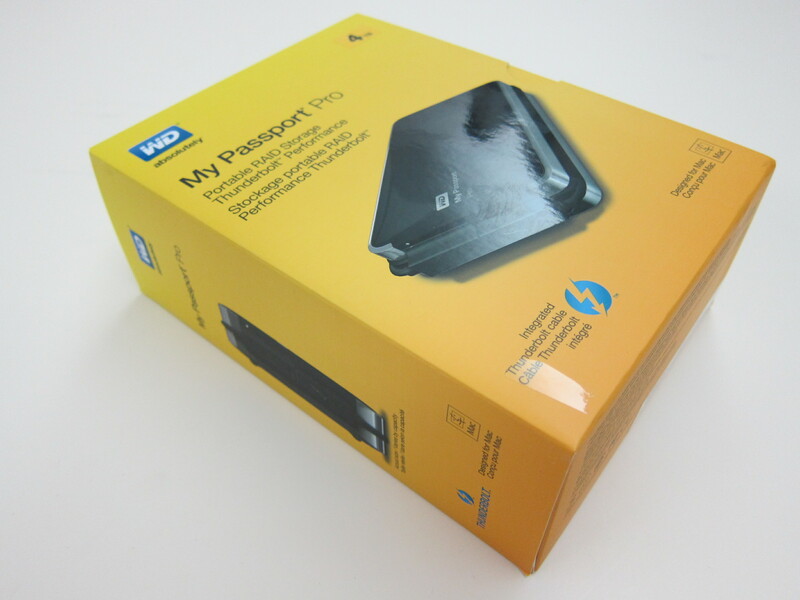 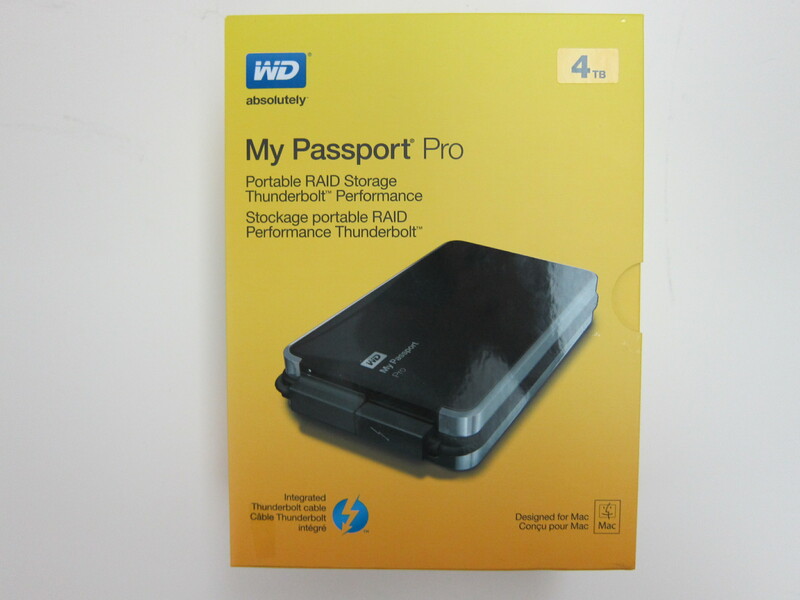 Western Digital My Passport Pro was announced last month on the 31st March 2014. 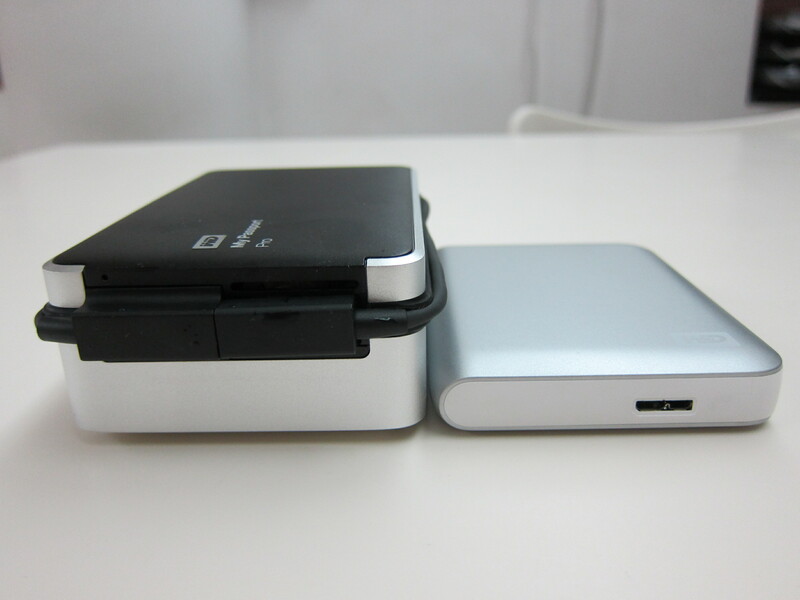 It is the first portable, Thunderbolt-powered dual-drive with integrated Thunderbolt cable. 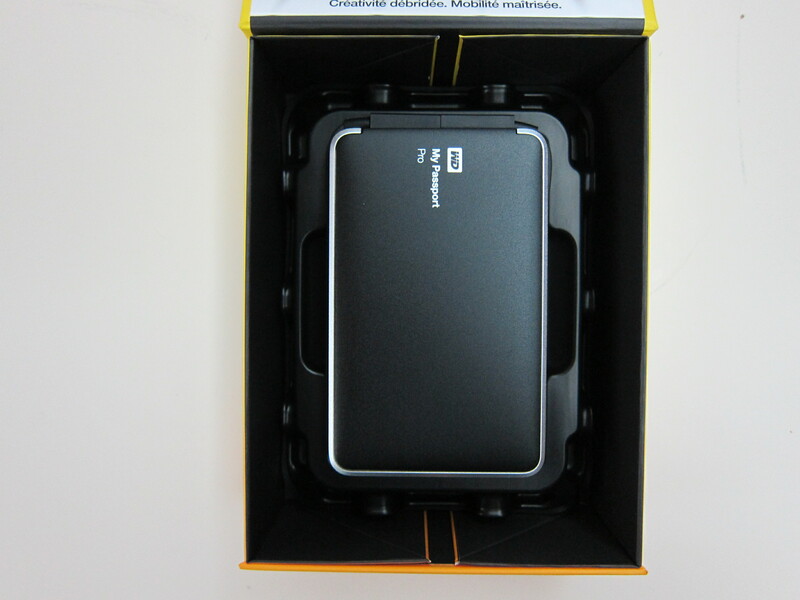 Because it is powered by Thunderbolt, you do not need a separate power source. 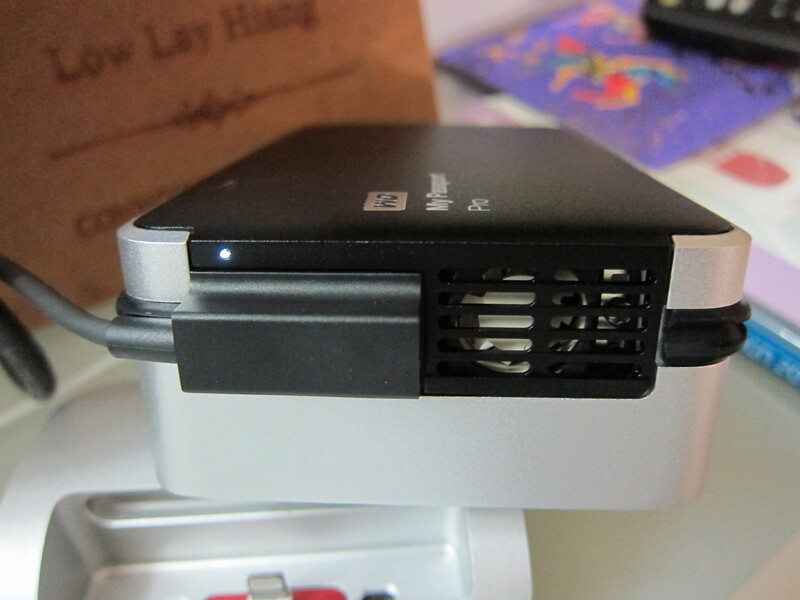 It is meant to be used with a Mac and hence it will come pre-formatted with HFS+ J. 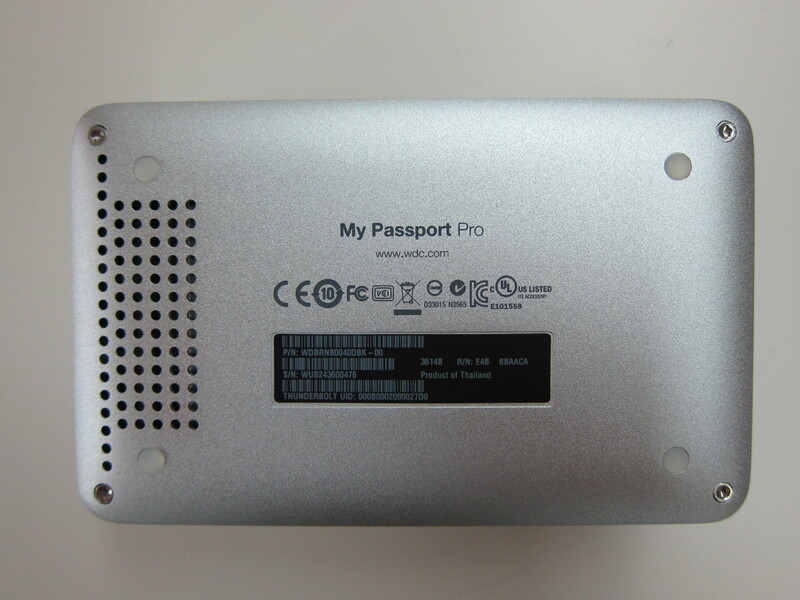 And of course, you can expect it to work with Apple Time Machine. 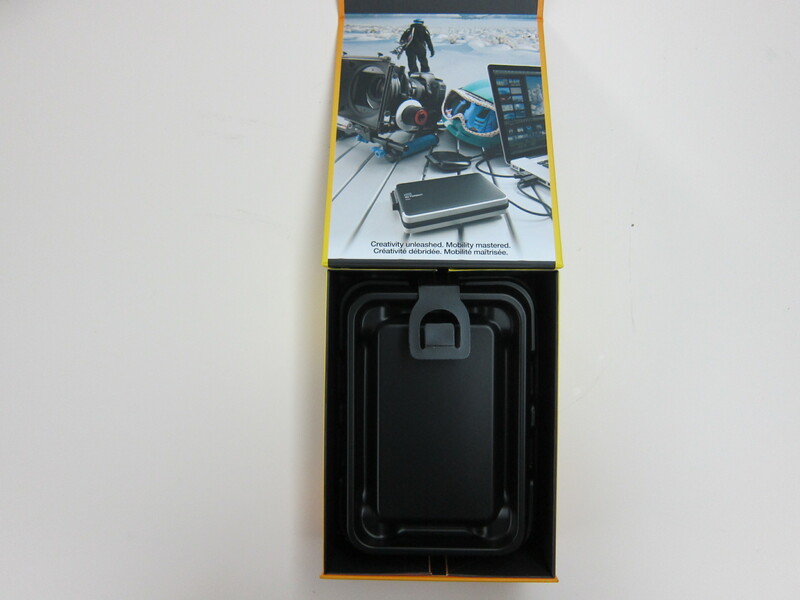 The internals consist of two 2.5-inch hard drives housed in a sleek aluminium enclosure and it is thoroughly shock-tested for extra durability to perform reliably when working on the go. 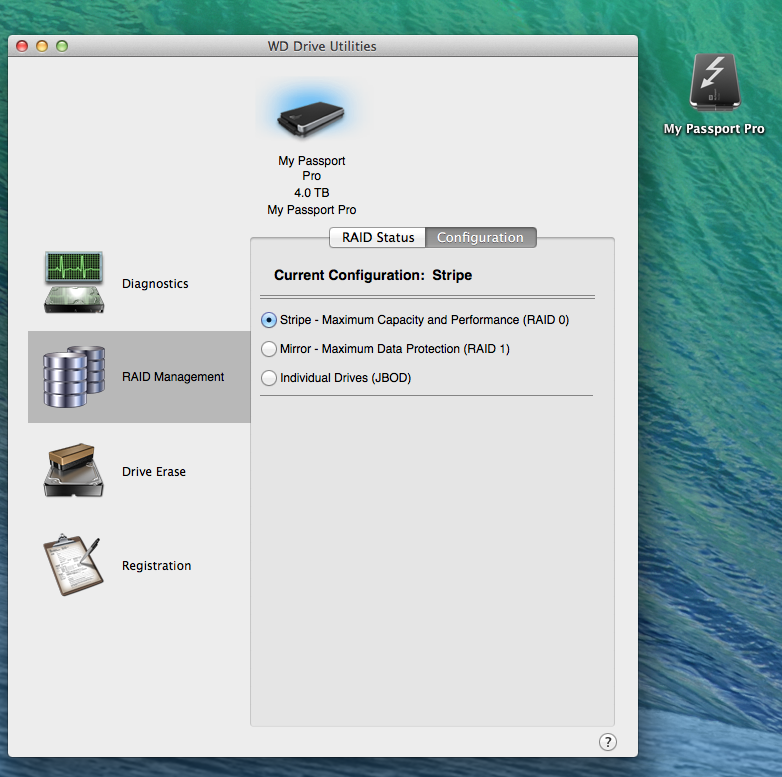 Because it has two hard drives, you can configure it to be RAID 0, RAID 1 or JBOD. 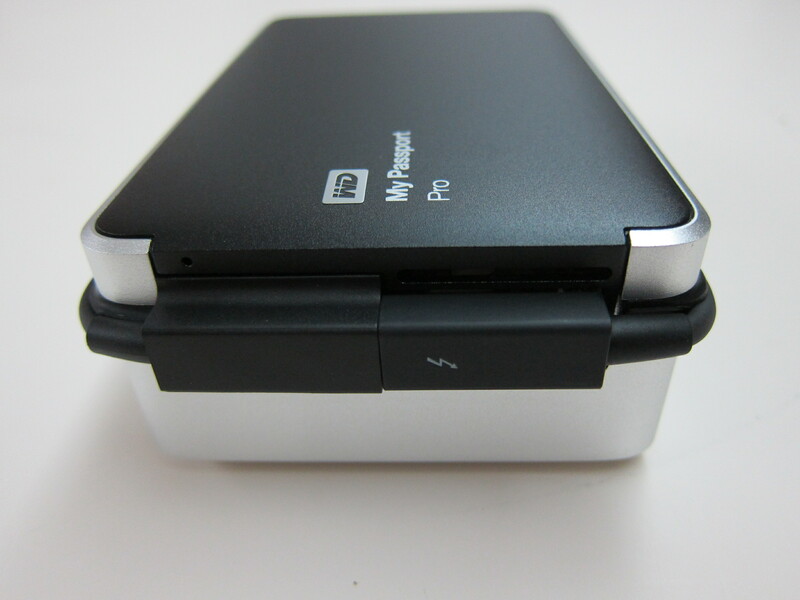 It measures 143.4mm (length) x 88.5mm (width) x 44.2mm (height) and weighs 718g. 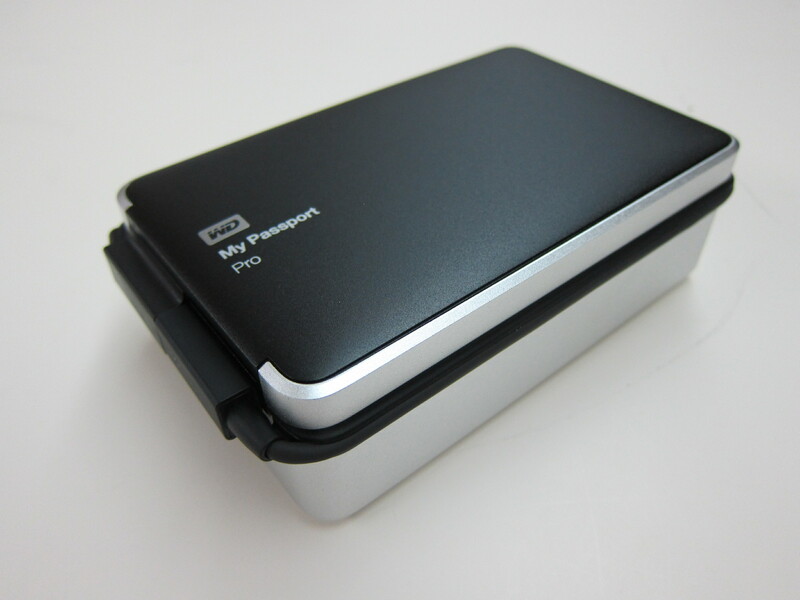 It is available in two sizes, the 2TB will be retailing for S$499 and the 4TB will be retailing for S$699. 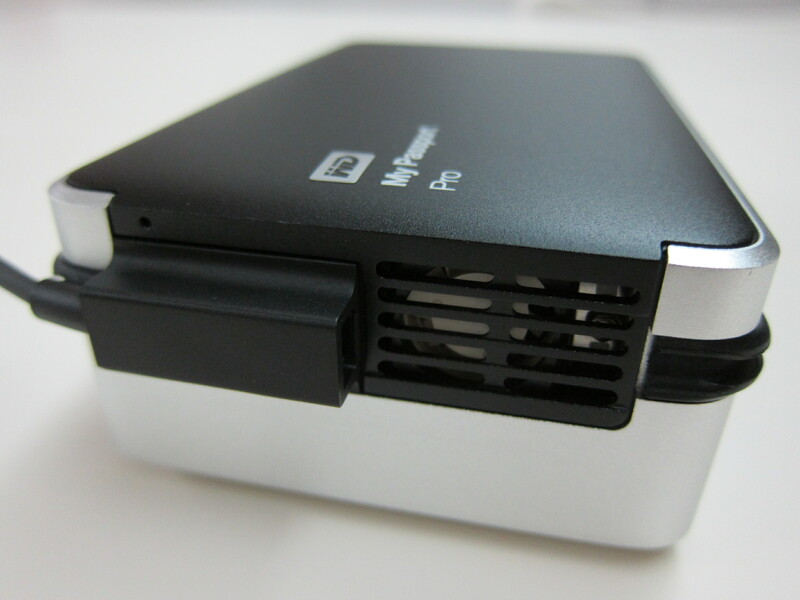 On paper, Western Digital claims it can go up to 233MB/s for both read and write speed. 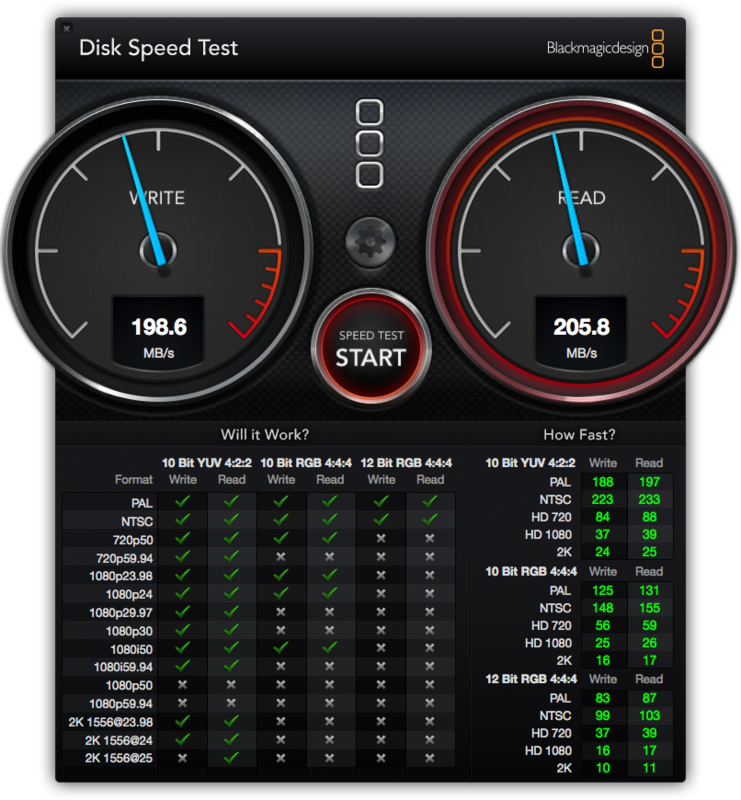 I tested the speed using Blackmagic Disk Speed Test and I got pretty close. 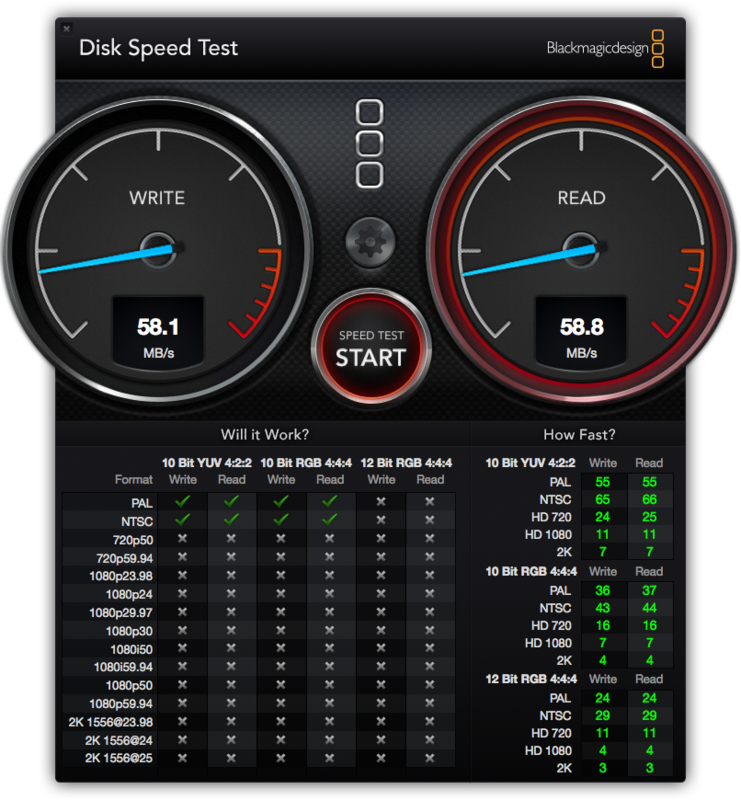 For RAID 0, I got about 198.6MB/s for write and 205.8MB/s for read. For RAID 1, I got 100.4MB/s for write and 103.3MB/s for read. 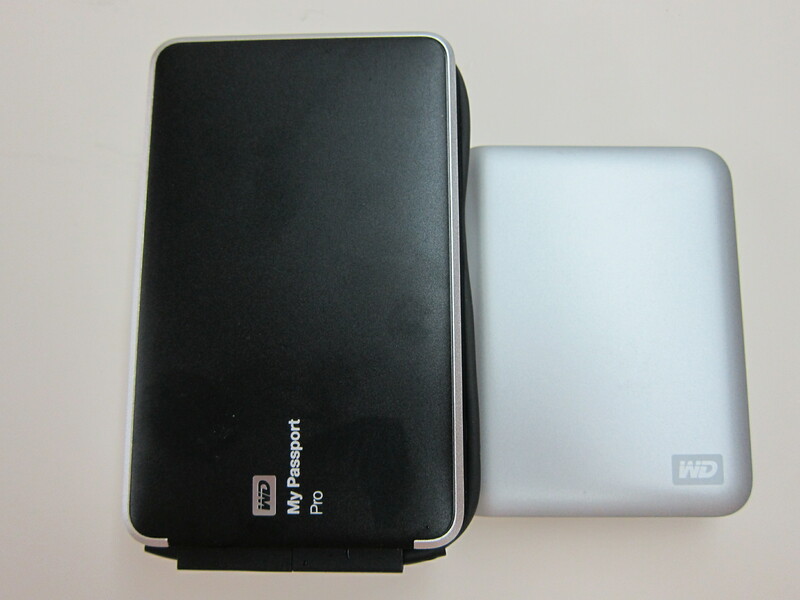 In contract with USB 3.0 on my Western Digital My Passport Essential SE, I got about 58MB/s for both read and write. 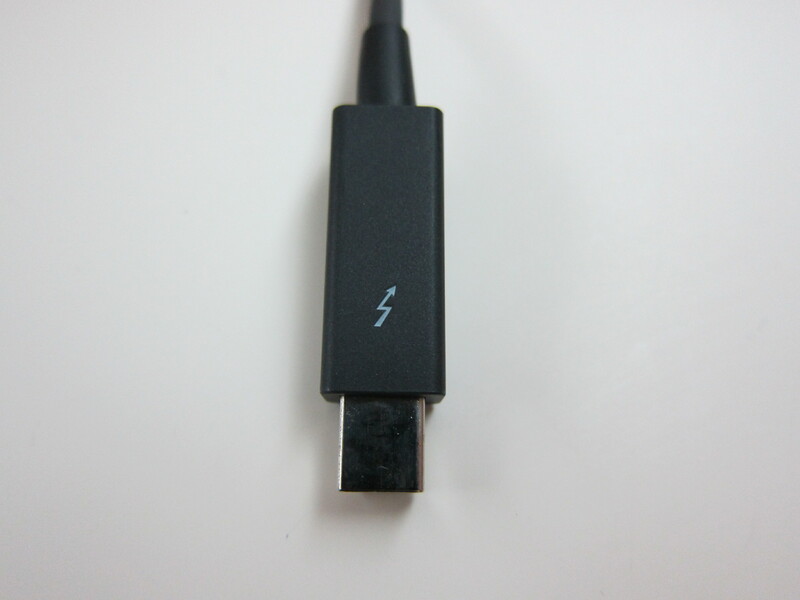 This page is generated on 18th April 2019, 10:59:36 (UTC) in 0.307s with 18 queries using 4.0 MiB of memory.